I would classify The Ghost Of Crutchfield Hall by Mary Downing Hahn as historical fiction horror. The Ghost of Crutchfield Hall is a very brief middle grade book chock full of orphans, servants, a mean old lady, and a ghost. 12 year old Florence’s parents died in a boating accident when she was very young. Apparently her parents were estranged from their siblings, as no one was able to take Florence in. SO, Florence ends up chilling out in some orphanage for a few years until her Uncle Crutchfield decides to adopt her. Upon arrival at her new home, she makes friends with the servants, pisses off her mean old aunt, and decidedly is not allowed to meet her bedridden cousin James, who is also an orphan. Oh and did I mention James’ sister Sophia is dead of an unfortunate accident and is haunting the hall? She is evil and not exactly a friendly ghost like Casper. At this point in history, they are not going to call the ghostbusters, so it is up to Florence and James to figure out a way to make Sophia go back to hell, since obviously she is not destined to sing in a heavenly choir. Let me just say straight up, children terrify me. Seriously, you get some creepy kid just standing there and staring and good lord, the chills, they go up and down my spine. And well, Sophia being a grade-A jerkwad, comes up with these mean things to do to the residents of Crutchfield Hall, things that involve dolls, snowmen, roofs. You know, run of the mill terrifying things. I won’t say The Ghost Of Crutchfield Hall is the greatest book I have ever read. It isn’t exactly full of depth and deep heartfelt revelations or laugh out loud humor or crocodile tears. However, it isn’t a terrible way to pass the long hours of the afternoon away. 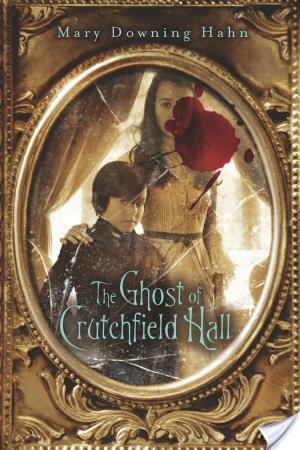 The Ghost of Crutchfield Hall isn’t half bad, and I think it is worth taking out of the library, unless you are a genuine elementary school kid or a middle grader, then you might want to add The Ghost of Crutchfield Hall to your collection. This book is amazing I read 3 pages of it and I wanted to marry the book. Poor Florance. 🙁 But, otherwise from that, if you like a mystery or an interesting book, you might decide to read this. no I have never read this book have you?